Here it is...check out my speech from earlier this year at Wright State University. It's all about my weight loss journey as well as the motivation it took for me to get there. Let me know what you think in the comments below and feel free to share! For more information, feel free to contact me. Order Your Signed Book Now!!! Get your personalized, signed copy of Bryan's book "Impossible: How I lost nearly 400 pounds without surgery." Available for a limited time for $20 with free shipping. Click the button below to place your order! Welcome Dave Ramsey Show Fans! Dave is right. I was sick and tired of the limitations and I had to take control of my life. I was able to change my entire way of living. I love sharing my journey with others and helping people learn from my failures. I have learned that anything is possible as long as you can visualize yourself doing what you think is impossible. Bryan wrote all about his weight-loss journey and the motivational secrets he unlocked on his road to health and wealth. His remarkable story is told in his best-seller "IMPOSSIBLE: How I Lost Nearly 400 Pounds Without Surgery." Click here to order your own personalized, signed copy! "Nothing in the world can take the place of persistence. Talent will not: nothing is more common than unsuccessful men with talent. Genius will not; unrewarded genius is almost a proverb. Education alone will not; the world is full of educated derelicts. Persistence and determination alone are omnipotent." I grew up riding a bicycle. It's probably the one thing that kept my weight somewhat in check before I started high school. Once I became an adult and too heavy to ride a bike anymore, I would hear about these century rides. "I could never do that," I would tell myself. "That's for skinny people." 100 miles, straight up U.S. 52. For those of you that don't live in South Carolina, that is a 4-lane highway. For the first 60 miles or so, from Moncks Corner to Lake City, I experienced a strong headwind. At times, I was pedaling uphill, into the wind at about 5 miles an hour. By the time I stopped and took a break, my energy was gone and I thought about quitting. But then the little voice in my head started talking to me: There is no giving up. Quitting is unacceptable. You've ridden 60 miles, You will ride the other 40 today. There will be no disappointment. You will follow through on this ride. Nothing stands in the way. And with that, I wolfed down another 1,000 calories and got back on the bike and resumed pedaling. I had not eaten enough on the ride up to that point, so miles 60-80 were absolutely brutal. But I kept riding and stopped a few times to eat. I took another break at the 80 mile point, Florence, SC. Again, I thought about quitting. But then I thought back to all those times I had struggled. 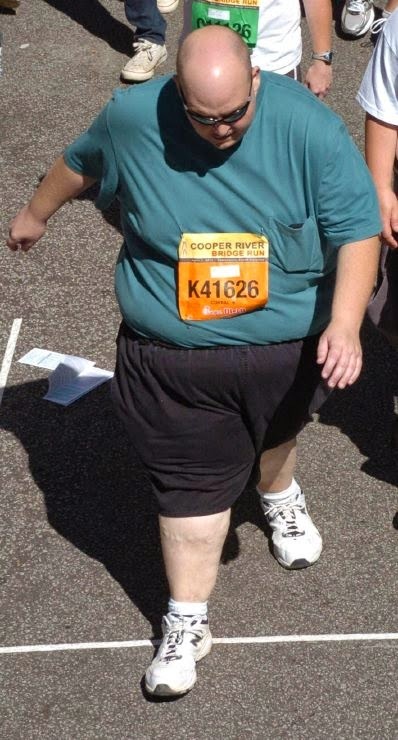 Like the time I finished a 10K race at over 400 pounds and I thought my knees were going to explode. This is nothing. You've got this. Get back on the bike and finish the ride. The bike is a custom-made Ritchey Road Logic, generously made available to me by a friend (and follower of this blog,) Dr. Clint Harshaw. So there it is...my first century ride! I am not a prideful person, but on this one...I earned it. I rode 100 miles. My next challenge? To do it again and do it faster. How about a double-century ride? Anybody in the Charleston, SC area up for a ride? Drop me a line. Don't ever let anyone tell you that you cannot do something. They're wrong, you can do it. Go out there. Make it happen. Eliminate all the negativity from your life and chase your dreams. Go get the life you deserve. Don't wait another second. In the 4 1/2 years I have spent losing nearly 400 pounds and keeping it off through diet and exercise (no pills, no surgery, no diets,) there are many foods I have stopped eating. One of those is ice cream. Oh sure, I could eat ice cream. Measure the calories and put it in my food journal and so forth. But what good is 1 serving of ice cream? 1/2 cup? Who eats that? I would just want more and more. So I gave up and just figured I would never have ice cream again. My friends, I have discovered the best thing since ice cream. It is a product called Arctic Zero and if you haven't tried it, you are cheating yourself. This is the answer to the prayers of those watching their calories everywhere. The best part? Go ahead...eat the whole pint! It is only 150 calories for the whole thing. That's right...only 150 calories. Really hungry? Eat 2 pints. My record in one day is 4 pints. That's right, I have eaten an entire 1/2 gallon of Arctic Zero in a day. 8g of fiber per pint! There are 10 flavors of Arctic Zero and I have tried them all. 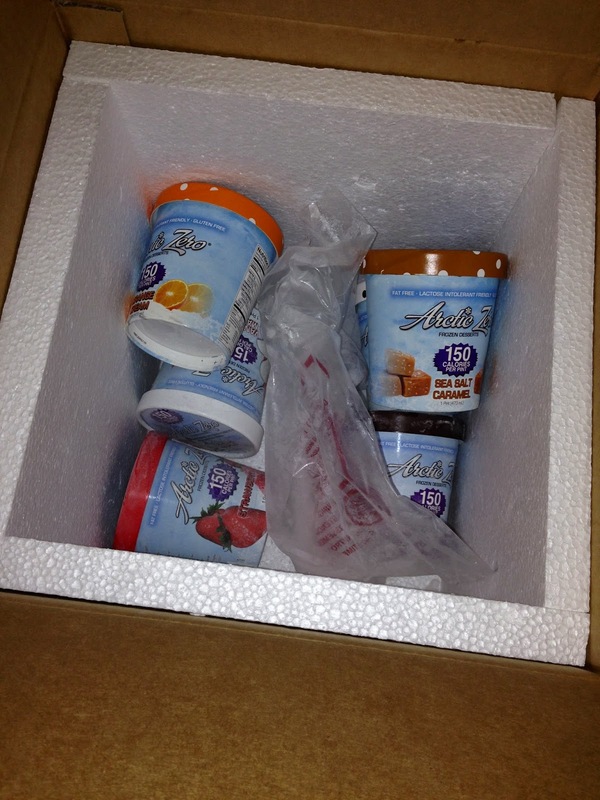 First, before you run out and buy Arctic Zero, you need to know a few things about it. It is very important to set your expectations about what it is and what it is not. Arctic Zero is not ice cream. Arctic Zero is only 150 calories per pint, which is about a third of the calories of sugar-free, fat-free frozen yogurt. Arctic Zero tastes more like a frozen protein shake, or ice milk. Don't go into this expecting Ben and Jerry's or Haagen Dazs. Nor should you...it's only 150 FREAKING CALORIES! You can not eat it right out of the freezer. The name of the game with Arctic Zero is texture, texture, texture. For it to be right, it needs to sit and soften at room temperature for 15 to 30 minutes (depending on how hard it was frozen and the temperature of the room.) 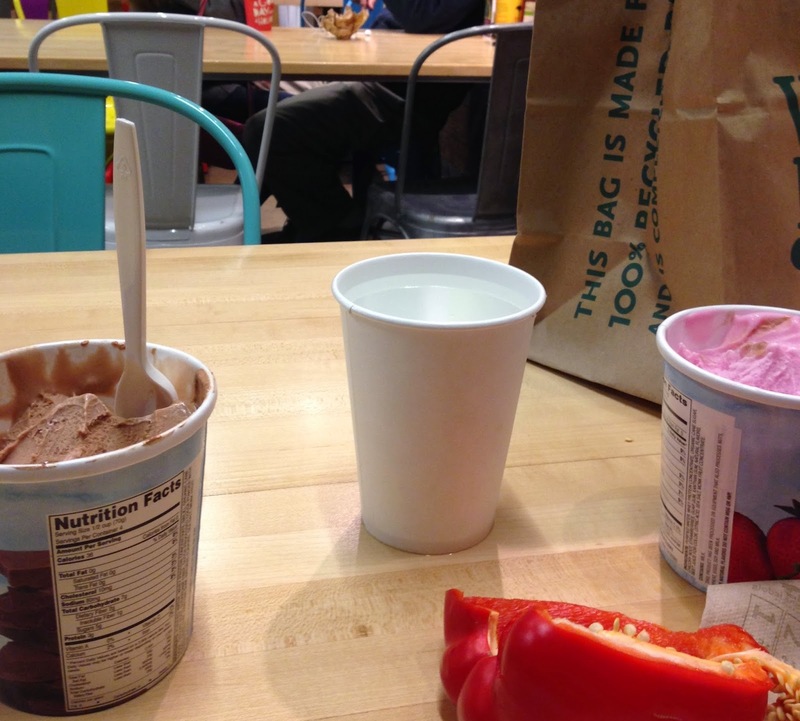 What I do when I buy Arctic Zero at Whole Foods is microwave it for 30 seconds. This produces the same effect. It's all about the texture and you want your Arctic Zero to be as creamy as possible. Check the freshness date. You want the "Enjoy By" date on your Arctic Zero to be more than a year away. If it isn't, put that Arctic Zero back. It's too old. Check for evidence of "temperature abuse." If the Arctic Zero has been thawed and re-frozen, it is going to not be very good. Squeeze the sides...do you hear a crunching sound? If so, there is ice inside and you don't want that one. Is the Arctic Zero covered in ice? You don't want that either. And most of all, look under the lip of the lid. Do you see any melted Arctic Zero seeping out? If you do, put it back. It's been temperature abused. Now that we have that out of the way, let's get on with the review. As I said before, there are 10 flavors of Arctic Zero, all available in pints. (Arctic Zero also makes 85-calorie, chocolate-dipped bars. Those are not available in my area and are not part of this review.) By the way, did I mention these pints are 150 calories for THE WHOLE THING? Just want to get that in there. 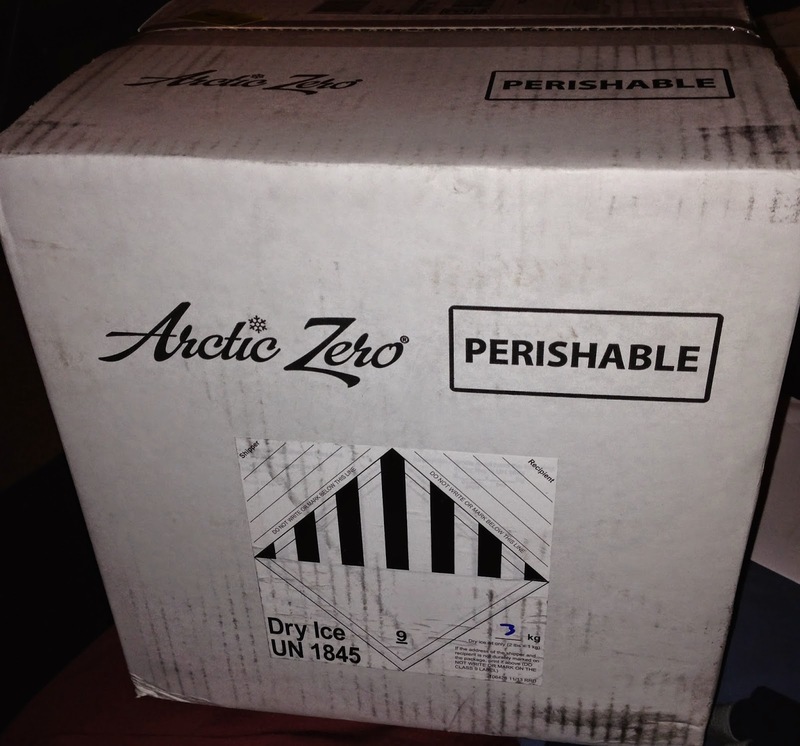 My review Arctic Zero arrived the other day, shipped from California to South Carolina packed in dry ice. The Arctic Zero was frozen hard as a rock when it arrived. If you are unable to get Arctic Zero where you live, don't have any reservations about ordering it online from either ArcticZero.com or Amazon. It will arrive safe and sound. Cookies and Cream - This contains neither cookies nor cream, but it is my favorite. It is the creamiest of them all. Cookies and cream Arctic Zero has a light cocoa and vanilla flavor. It is delicious and it is my favorite. It's also widely available at Walmart. Vanilla Maple - This one is really good too. It almost has a slight butter pecan flavor to it. It's in my top 5. Coconut- Sort of a vanilla ice cream with a light coconut flavor with little bits of coconut in it. Sea Salt Caramel - A light caramel flavored Arctic Zero. Orange Cream - One of my new favorites. You know what Orange Cream Arctic Zero tastes like? An orange Push-Up. Remember those? Delicious. Mint Chocolate - Another one of my favorites. It tastes like Thin Mint Girl Scout cookies. Also available at Walmart and easily found. Peanut Butter Chocolate - This one is an acquired taste. Because Arctic Zero is really pushing the limits of reality with the 150 calorie limit, this has somewhat of a peanut butter taste to it. Coffee - I do not like coffee, but right now, this is one of my most favorite Arctic Zero flavors. This tastes completely out of this world to me. It's like I am cheating when I am eating this. Like I'm really eating 1,000 calories instead of 150. A very creamy Arctic Zero with a light coffee flavor. Chocolate - This is also in the top 3. What does it taste like? A Wendy's Frosty. But you have to let the chocolate melt before you eat it. Get it really soft and creamy. Strawberry - The Strawberry is good, but keep in mind the 150 calorie limit. It is not an intense Strawberry flavor. I also have my own homemade Arctic Zero flavor: Neapolitan. That's right, you take the Vanilla Maple, Chocolate and Strawberry and combine them. How about it, Arctic Zero? Make a neapolitan flavor! There are dissenting voices on the Internet questioning whether or not the 150 calorie claim on Arctic Zero is actually honest. I am here to tell you it is. How do I know? Because I track my calories carefully and I have eaten so much Arctic Zero that if it was off by very much, I would have gained weight. Arctic Zero has also had their product tested at independent laboratories and found the Nutrition Facts label to be correct. I believe them and you should too. In the past 3 months, I have eaten probably 100 pints of Arctic Zero in all the flavors. It is a delicious, almost sinful frozen dessert. It has allowed me to eat an ice cream-like product without eating hundreds of calories in fat and sugar. More people need to know about this product. Rating: 5 stars out of 5! Bryan Ganey is the author of Impossible: How I lost nearly 400 pounds without surgery, available in print and e-book from Amazon.com. You can find his blog at BryanGaney.com. He lives in Charleston, SC. You can find him on Facebook and Twitter. Watch his videos covering his journey on YouTube. Bananas get a bad rap. For some reason, it has become popular to criticize the banana as being high in sugar and high in calories. 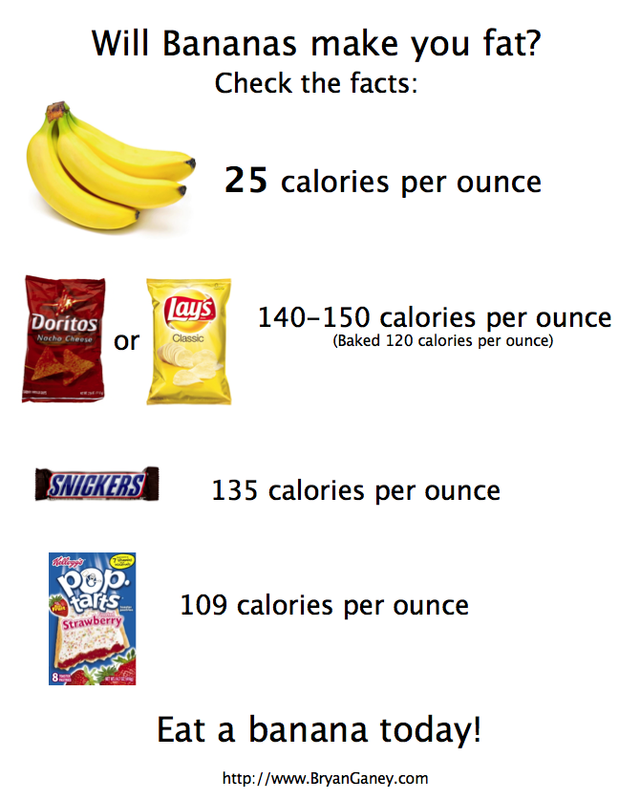 Yes, bananas do have a higher calorie and higher sugar content than some fruits. But let's not lose our minds here. Bananas are delicious and nutritious. I have had people warn me that bananas were going to make me fat. To illustrate how this is pure nonsense, I have made the following graphic to compare the poor banana with common junk food millions of people eat on a daily basis. Enjoy. Feel free to share this with your family and friends!